The majority of mainstream services and software applications are at some point the target of unwanted attention from hackers, denial of service attackers or geeky glory hunters, and unfortunately regardless of how much you invest in security, total security remains an unobtainable target. Whilst major software vendors like Microsoft and high security facilities like the Whitehouse and NHS are still susceptible to attacks, what chance do small website owners have? Due to its own success, WordPress bears the brunt of the attention in the CMS world because it’s the largest and most popular platform with 65% market share. Added to this is the Open Source nature of WordPress, which means its underlying code is more easily scrutinised and vulnerabilities exposed. Before websites used content management systems, attacks were less commonplace although they did occur, but websites are powered by CMS’s and therefore database-driven now, providing more potential to exploit weak points and opportunity to cause damage. There are many more best practice security measures which we implement on our clients WordPress websites, and the landscape is constantly changing so it’s really important to keep a careful watch out for new ways to improve security and performance. Ethical hackers known as white-hat hackers, could be for example security researchers or paid and trained experts, who break security for non-malicious reasons, such as testing their own security system, performing penetration tests or vulnerability assessments for a client. They would be expected to notify the vendor once a vulnerability is detected and help to make sure the holes are patched. 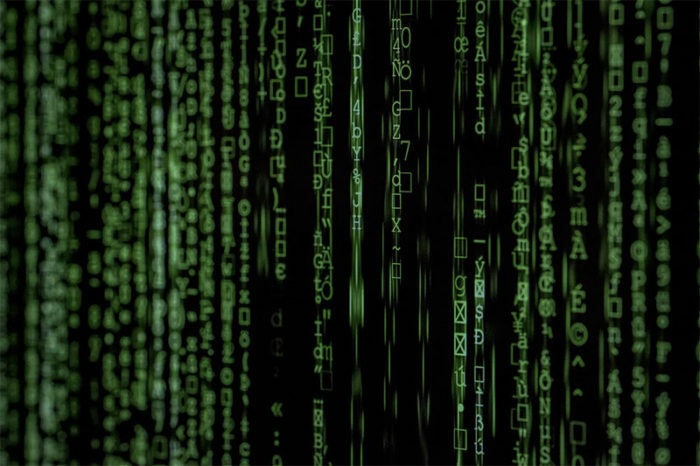 Cyber criminals or black-hat hackers violate computer security for personal gain, using their expertise to find or develop software holes and break into secure networks to destroy, modify, or steal data; or to make the network unusable for those who are authorised to use the network. They also work to sell information about the security holes, zero-day vulnerabilities and exploits to other criminals for use. Hackers could also be disgruntled employees, individuals or small groups often referred to as hacktivists, competitors in particularly competitive market places who are happy to cross the legal line to gain a competitive advantage, terrorists or even intelligence services or governments. Although it is possible for your website or organisation to be a direct target, especially if you’re involved in a controversial activity or subject, it is more likely that an unidentifiable robot has crawled the web looking for sites with known vulnerabilities, for example an out of date CMS application or plugin. The bot developers motivations range from ‘just because they can’, ’to see if they could’, or to achieve geek fame by hitting the headlines as the brains behind a major security breech. The later having in the past resulted in lucrative employment opportunities to help improve security. Ironic. 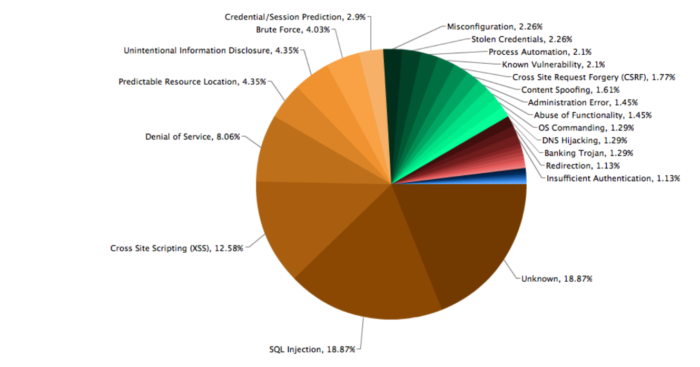 In the pie-chart below created from Web Hacking Incident Database (WHID) clearly shows that whilst many different attack methods exist, SQL injection and XSS are the most popular. We provide a comprehensive level of support and after sales service to protect your online brand and digital presence, offering peace of mind to our clients that their websites are maintained, proactively supported and carefully monitored 24/7. Our team of digital specialists pride ourselves on providing excellent customer services and effective digital marketing, both of which can only be achieved with exceptional reliability and rapid response in the event of unforeseen problems. Technical support is required for all websites and hosted applications to ensure maximum security and performance is maintained. Technical support is defined as bugs or technical issues which affect the normal operation of the site or service in line with the agreed specification. We offer guaranteed response rates, typically 0.5 days for complete loss of service, 1 working day for significant service interruption, for example a core feature not working, and 3 working days for minor loss of service. A 24/7 monitoring service provided by Uptime Robot allows us to respond quickly if outages do occur, and separate server monitoring alerts us when resources hit 60% utilisation so gives us advance warnings of problems. 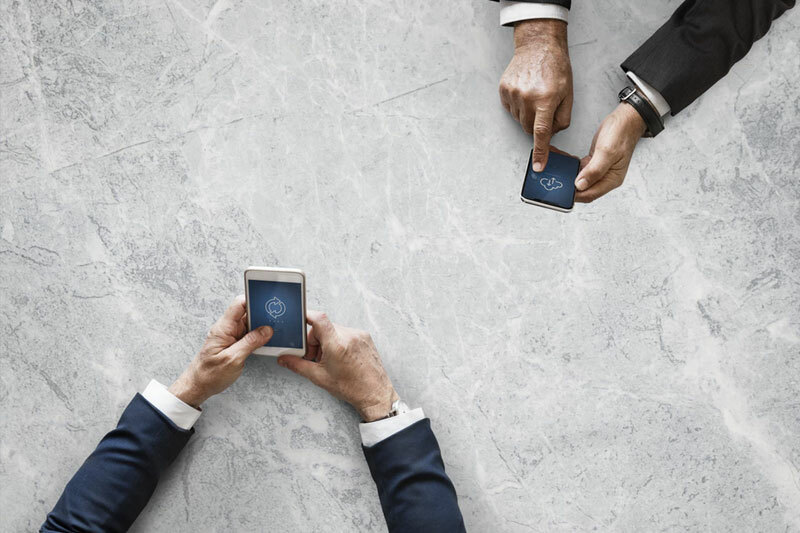 We have a robust backup strategy which includes offsite daily incremental backups, this is for peace of mind and we can usually restore within 30 minutes (depending upon the size of the site). Get in touch if you need help to recover from a hacked website or to improve your sites security.